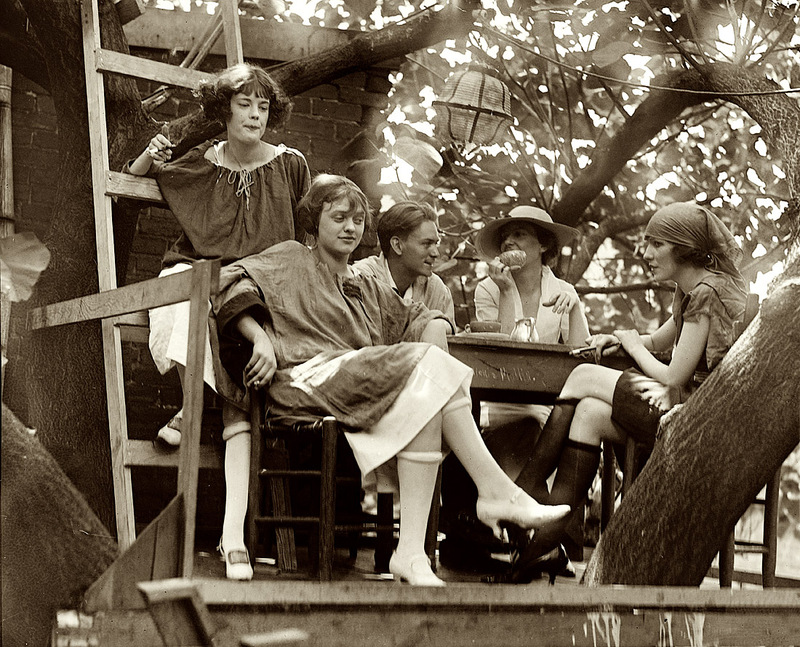 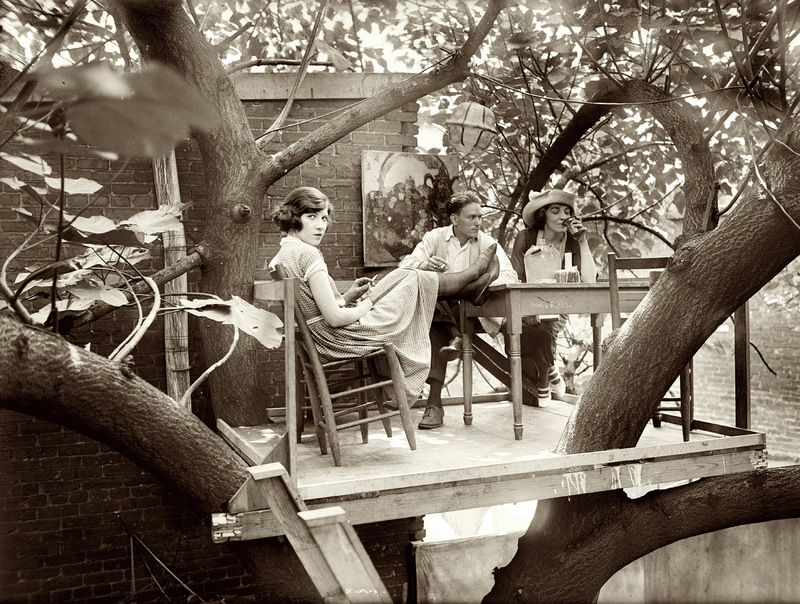 The Krazy Kat Klub – a bohemian hangout, in a treehouse, in Washington DC. 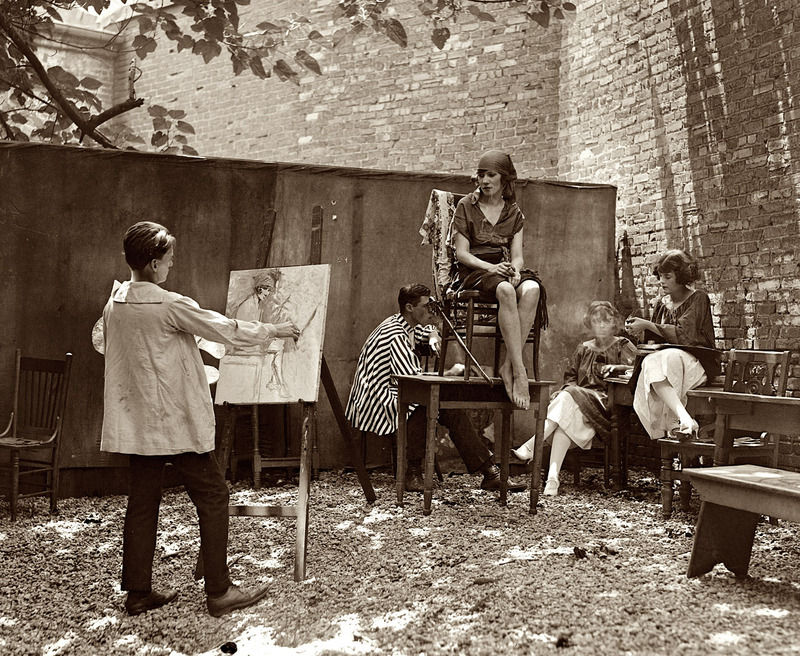 These pictures are from 1921. 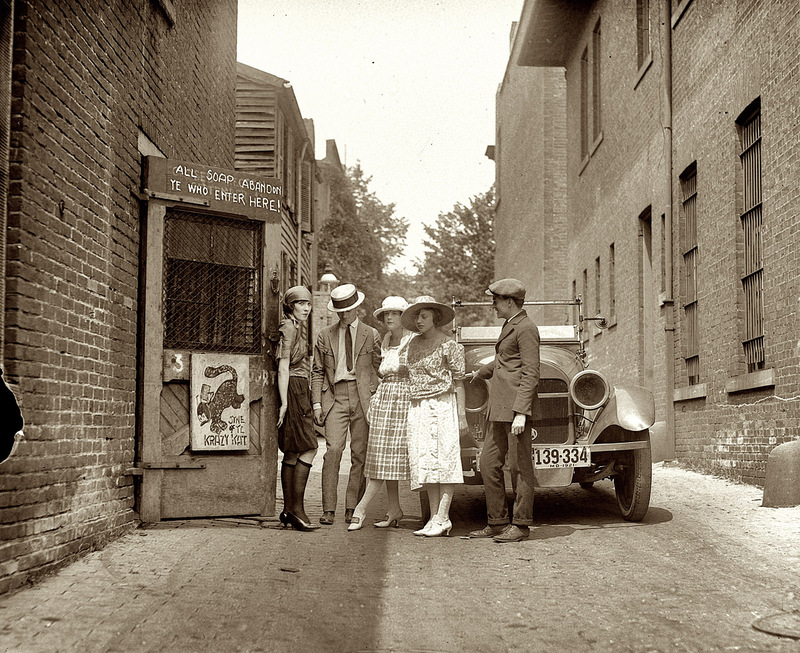 In 1919 the Washington Post described it as, “something like a Greenwich Village coffee house, in an alley near Thomas Circle”. 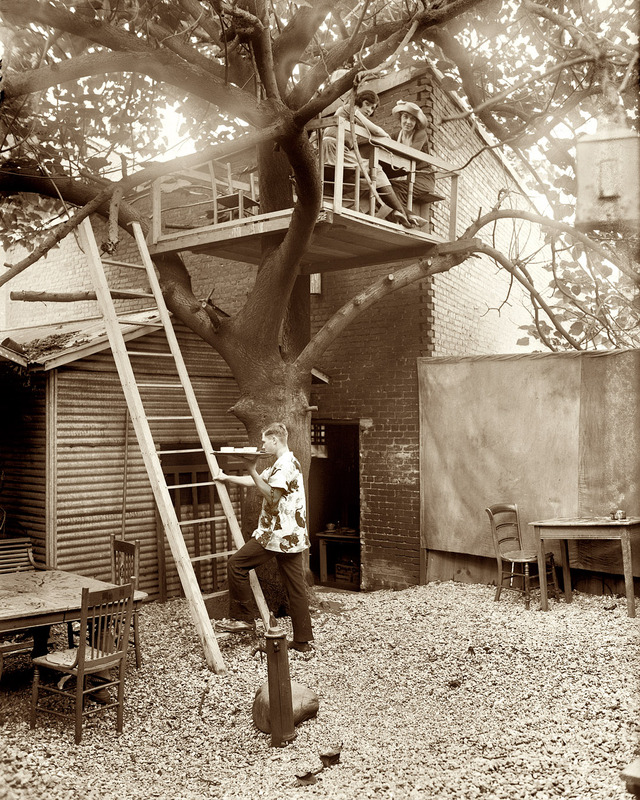 The building is still there, apparently.